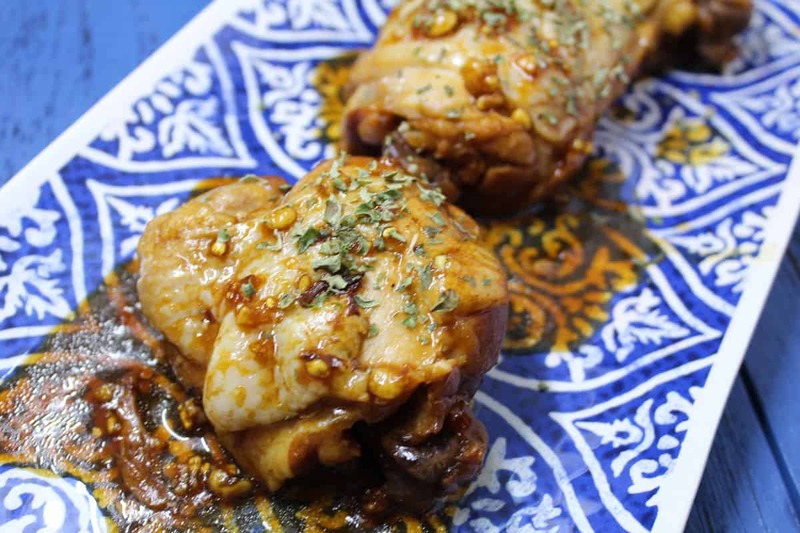 I love cooking chicken thighs in the Instant Pot. They come out amazing after cooking, they are nice, juicy, flavorful and tender. Chicken thighs are perfect for pressure cooking, as they have both white and dark meat, and hold up well to the pressure. This is a very easy recipe, and you can swap out flavors to get a great flavor that you and your family will fall in love with. 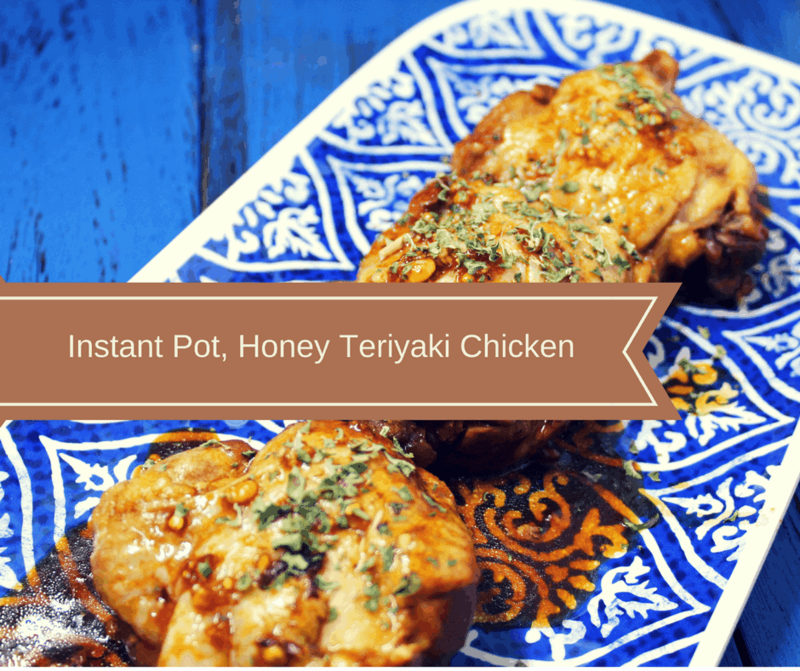 This was one of the first chicken dishes I made with my Instant Pot. This really convinced me that using the Instant Pot for meals would really help me, with giving my family healthy meals. 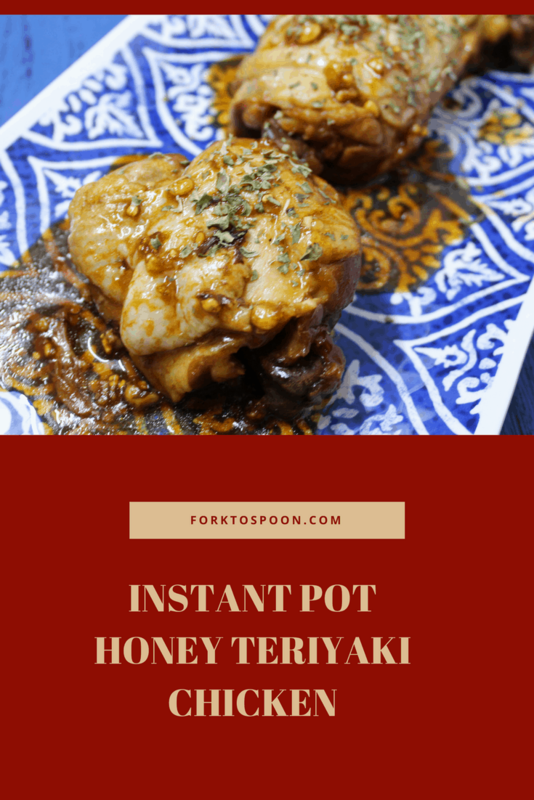 My family loves Asian meals, so when I figured out I could switch out the flavors, I came up with an easy Honey Teriyaki sauce, that works well in the Instant Pot. You can either use fresh herbs, sesame seeds or sliced green onions, to make a lovely presentation. 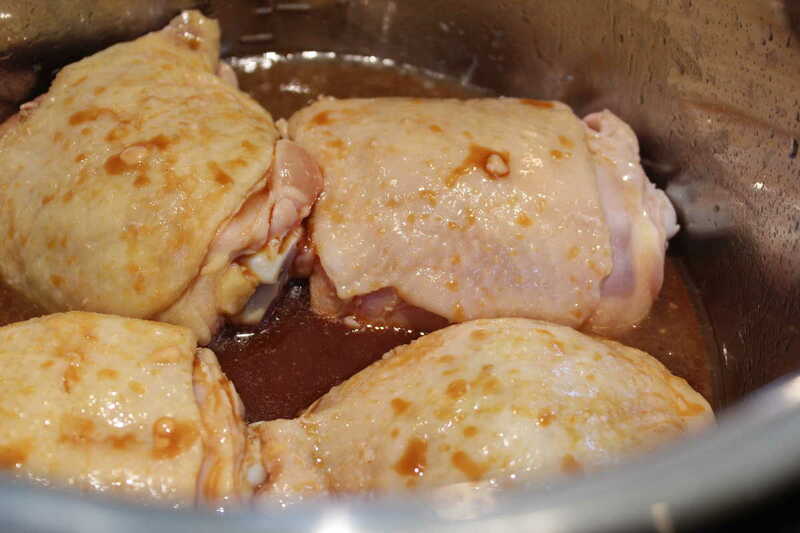 I brown the chicken first, all you need to do to get an extra layer of flavor and texture is put a little bit of canola or vegetable oil into the Instant Pot Bowl, and use the saute' function to brown the meat. This really does improve the end dish and flavor. Make the honey teriyaki sauce first. Then brown the chicken on both sides. Then pour the sauce over the chicken. And then follow the directions in the recipe below. 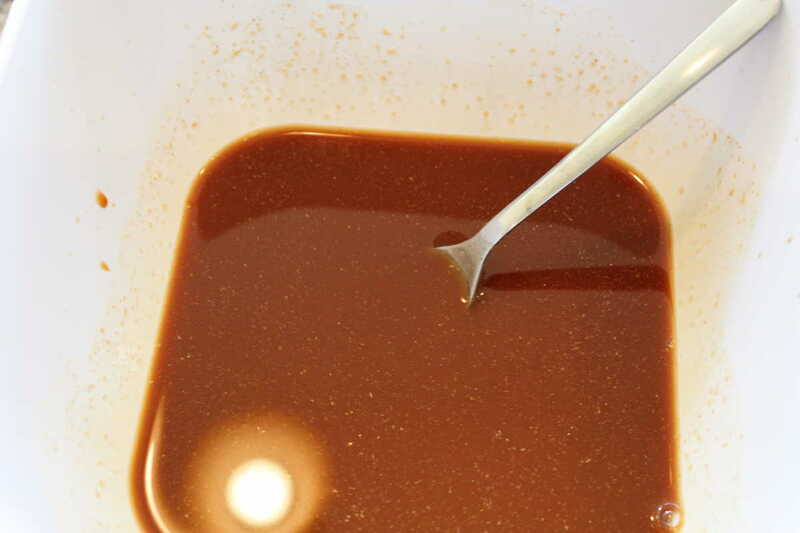 Start by mixing all of the marinade ingredients together in a small bowl, mix well, and then set aside. Then in your Instant Pot, add the vegetable oil, then press the saute' button. Wait a minute, just enough time to get the oil hot. Then add the chicken thighs (be careful not to crowd, I did 4 at a time) brown on each side about 3 minutes, and then flip them. When both sides are browned, pour the marinade over the chicken breasts and then add your lid. Make sure that the vent is on "sealing." Set the manual high pressure for 20 minutes. When the time is done, let it naturally release. 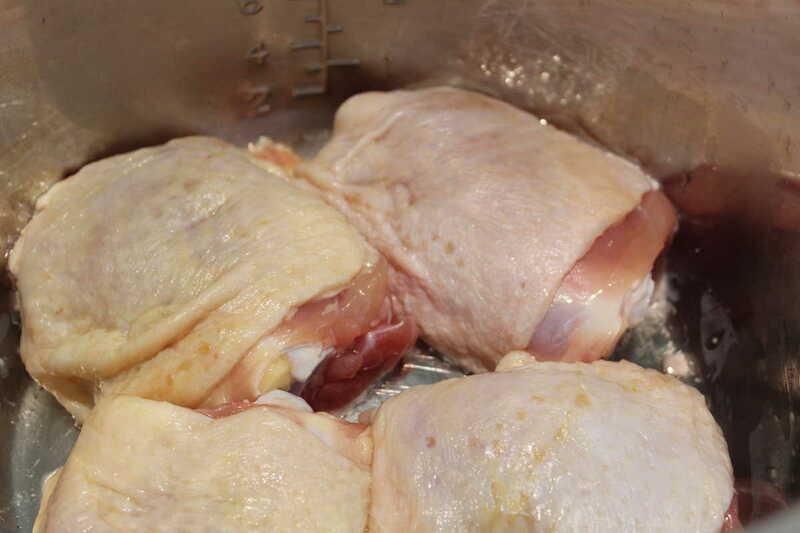 When the pin drops and all of the pressure is released, open up the lid, and remove the chicken thighs. Plate them, and then you can boil down the sauce, by using the saute' function, until it thickens. But remember to stir it, otherwise, it will burn. Spoon, some sauce over the chicken. Followed the recipe and added extra ingredients like extra fresh garlic, Chile peppers and used less salt for the teriyaki sauce. The sauce was delicious and I would definitely make again. The chicken thighs were juicy, tender and cooked to perfection. I sautéed onions, garlic, broccoli and carrots in toasted sesame oil on the stove top while chicken was cooking. I served it all over rice with sesame and sunflower seeds. Thank you for the recipe!